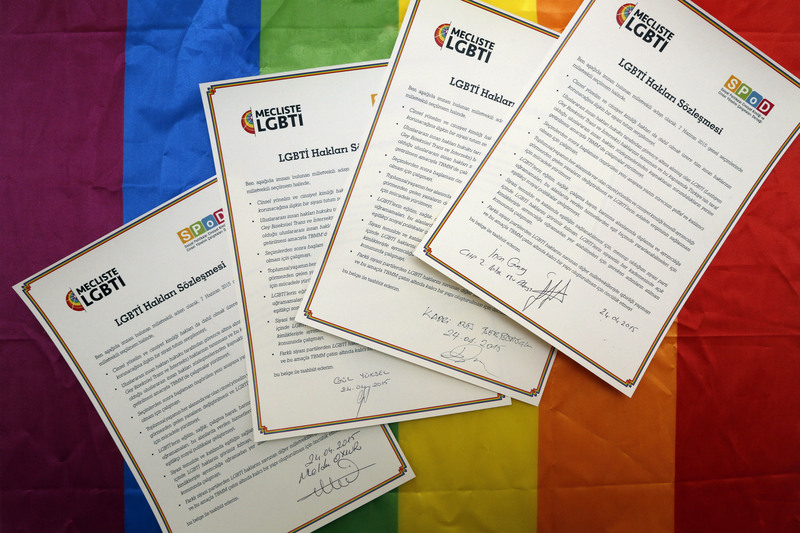 The LGBTI Rights Pledge, which the Social Policies, Sexual Orientation and Gender Identity Studies Association (SPoD) has opened for signatures by candidates running for parliament membership on the June 7 general elections, has received 40 signatures. Candidates such as Şafak Pavey, Musa Çam, and Deva Özenen declared that LGBTIs are not alone in this struggle. Kemal Kılıçdaroğlu, the Republican People’s Party (CHP) leader, sent supportive messages with regards to marriage equality in Ekşi Sözlük [a Turkish online collaborative ‘wikitionary,’ similar to an informal Wikipedia] yesterday night. Kılıçdaroğlu had claimed that “society is not yet ready for a homosexual leader” two years earlier [in December 2013], addressing the same community. Despite Kılıçdaroğlu’s failure in proactively discussing LGBTI rights, CHP members have proposed numerous bills and parliamentary questions on the issue. In the past week, CHP has proposed a Social Integration and Social Inclusion Bill of Law which also includes LGBTIs. The party had also proposed a Labour Law for LGBTI individuals in February. Earlier in January, Faruk Çelik, Minister of Labour and Social Security, in response to CHP member Mahmut Tanal’s parliamentary question, had expressed on behalf of the ministry that they did not support LGBTI individuals’ participation in the workforce. Kılıçdaroğlu had answered the question “Would you nominate a homosexual candidate in the local elections?” by saying “society is not yet ready for a homosexual mayor” in a meeting held in December 2013 with 20 Ekşi Sözlük writers. Despite this prior response, Kılıçdaroğlu had come together with representatives from the Platform for LGBT Political Representation and Participation. In the 2014 local elections, Sedef Çakmak and Çelik Özdemir from Istanbul, and Öykü Evren Özen from Bursa had been nominated to run for membership for the respective local parliaments, however they have not won the elections. Sedef Çakmak has later been elected in March 2015 as member of the local parliament of Beşiktaş, becoming the first openly lesbian parliament member of the Municipality of Beşiktaş and of any local parliament in Turkey at large. 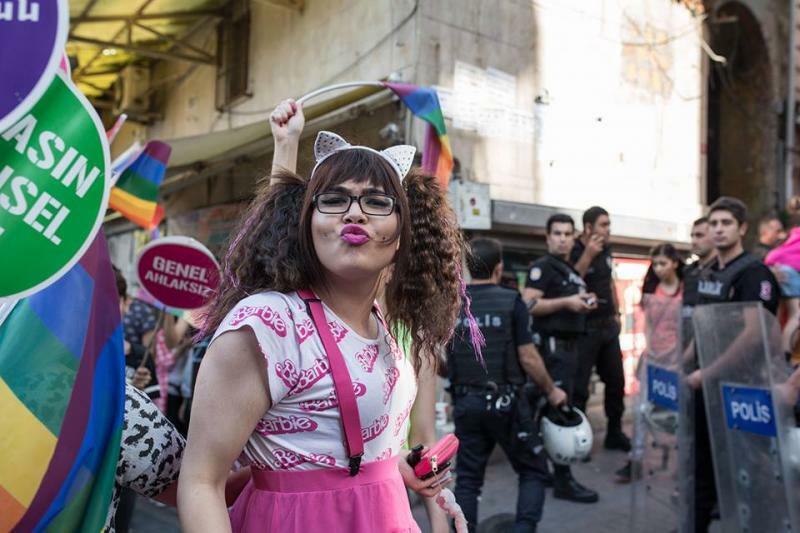 Trans activist Niler Albayrak, who was a candidate for nomination in preparation for the 2015 general elections, subsequently failed to be nominated by CHP. The main opposition party does not have any openly gay candidates running for the 2015 general elections.